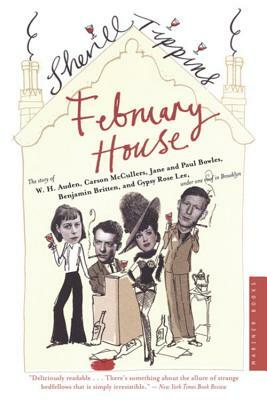 February House is the uncovered story of an extraordinary experiment in communal living, one involving young but already iconic writers -- and the country's best-known burlesque performer -- in a house at 7 Middagh Street in Brooklyn during 1940 and 1941. It was a fevered yearlong party fueled by the appetites of youth and by the shared sense of urgency to take action as artists in the months before America entered the war. In spite of the sheer intensity of life at 7 Middagh, the house was for its residents a creative crucible. Carson McCullers's two masterpieces, The Member of the Wedding and The Ballad of the Sad Cafe, were born, bibulously, in Brooklyn. Gypsy Rose Lee, workmanlike by day, party girl by night, wrote her book The G-String Murders in her Middagh Street bedroom. Auden -- who along with Britten was being excoriated at home in England for absenting himself from the war -- presided over the house like a peevish auntie, collecting rent money and dispensing romantic advice. And yet all the while he was composing some of the most important work of his career. Sherill Tippins's February House, enlivened by primary sources and an unforgettable story, masterfully recreates daily life at the most fertile and improbable live-in salon of the twentieth century.